I'm not big on oil right now, though I'm definitely watching closely as I think there are a lot of cheap deals out there. 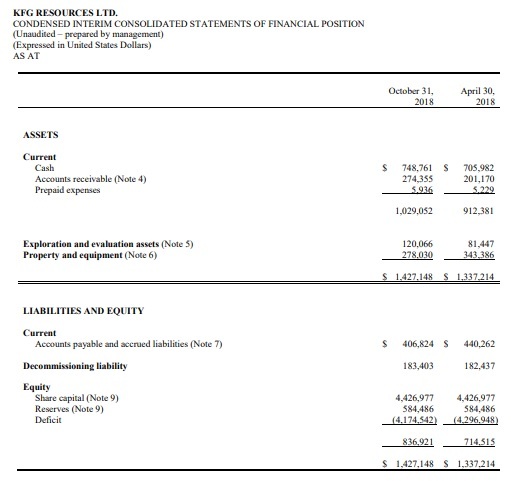 KFG Resources (KFG.V) is an exception; one that I have to own now. While stocks on my watch list like CPG and BTE are in the gutter, KFG is just a penny off its 52-week high with very little on the ask. I couldn't accumulate a very big position, but have held on for several months. Why this oil company? Because it is profitable, has cash and is willing to spend cash on growth and a share repurchase plan. 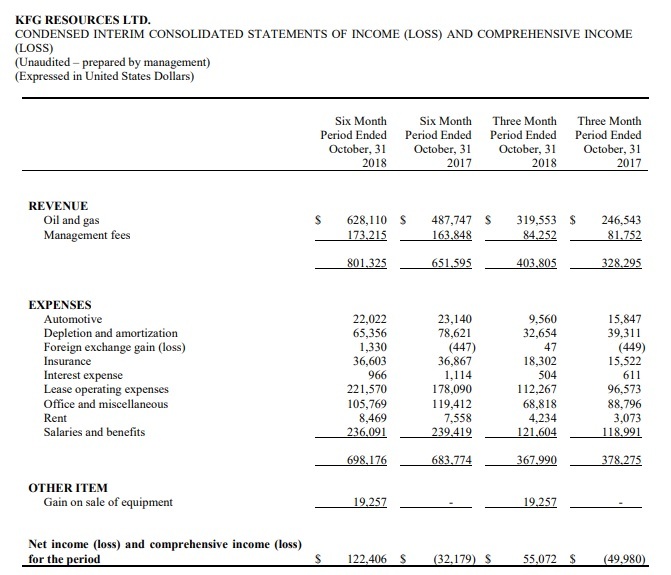 Here is a screen capture of the last income statement. This should be pretty self-explanatory. 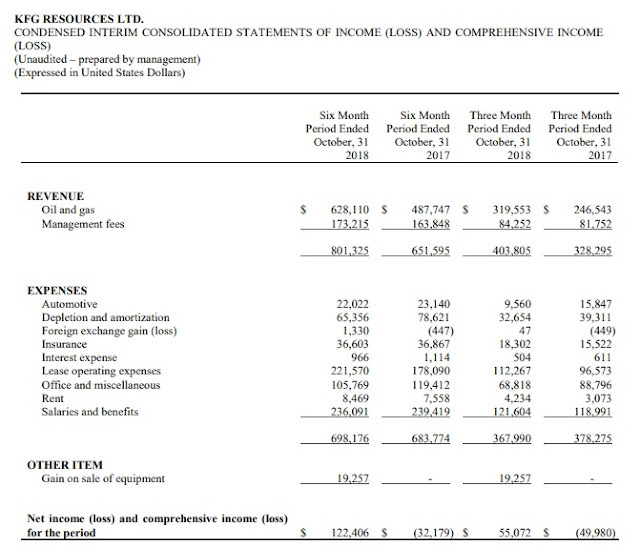 With this kind of financial performance, KFG has flexibility with cash, and it sure is using it. KFG made a purchase of Saskatchewan oil assets last week. But more importantly, announced a normal course issuer bid to the tune of 2.5 million shares (~5%) in January. The company has the intention, though not the obligation, to buy back 2.5 million shares on the open market to January 15, 2020.
Insider transactions show 21,000 shares have already been bought back, and then insiders bought 256,000 more at 5.5 cents last week. Ha, I'll let the readers come to their own opinions over the actions of management buying up shares right before the open market buy back. But from an investment thesis standpoint, it looks pretty bullish either way.